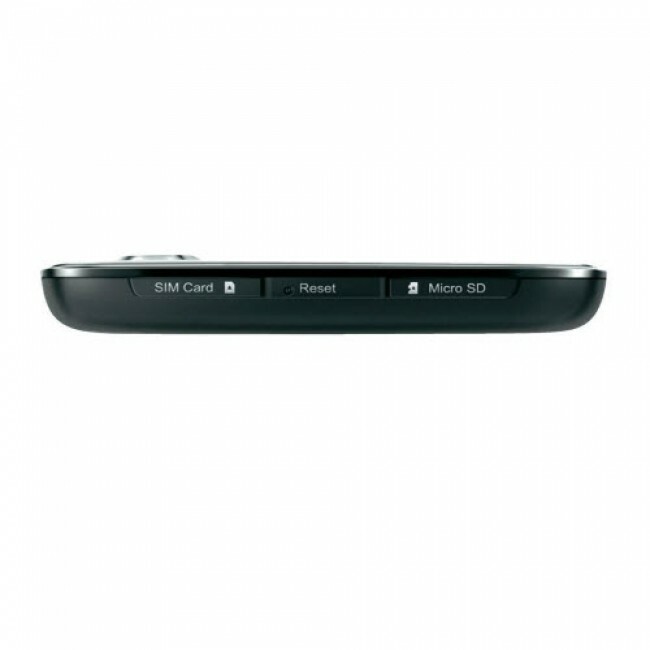 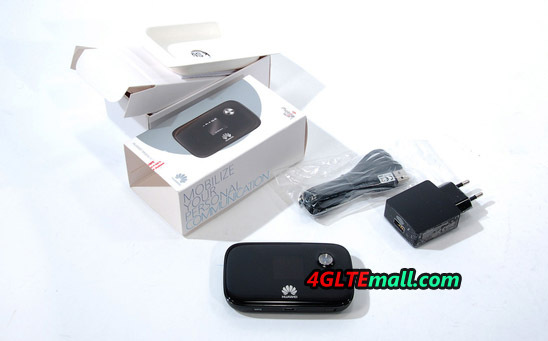 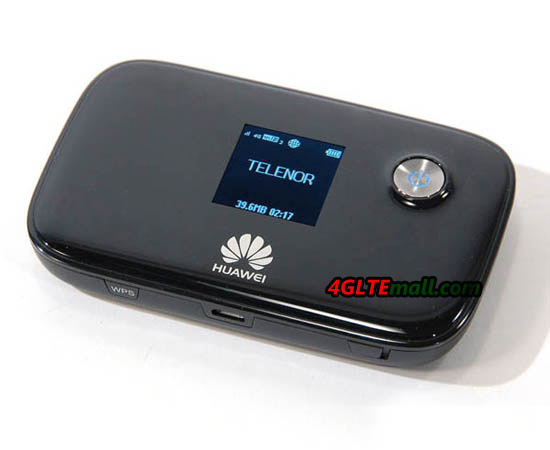 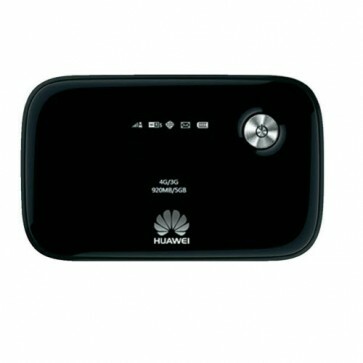 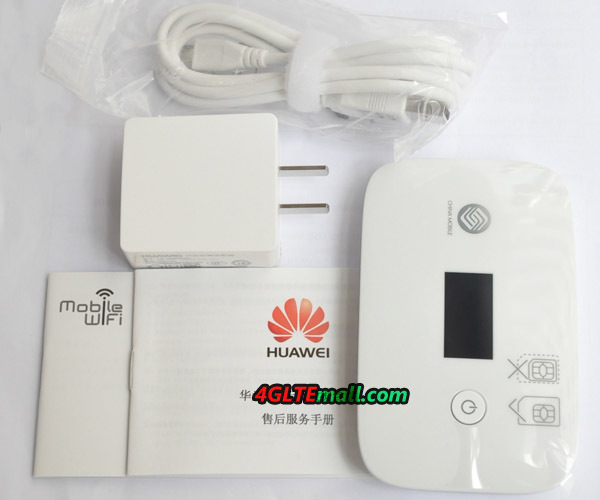 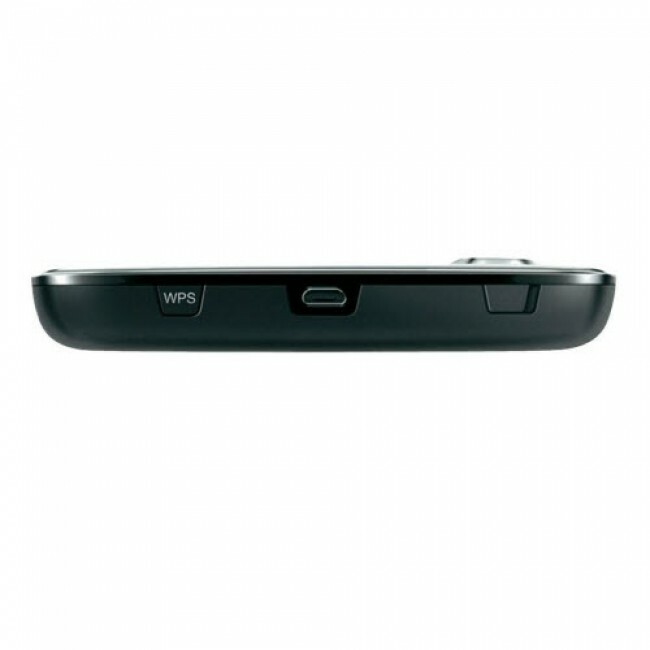 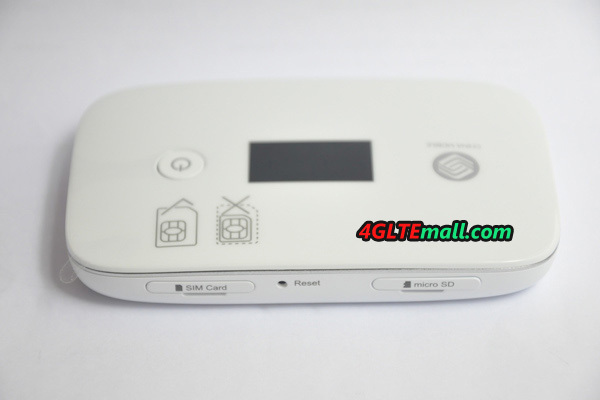 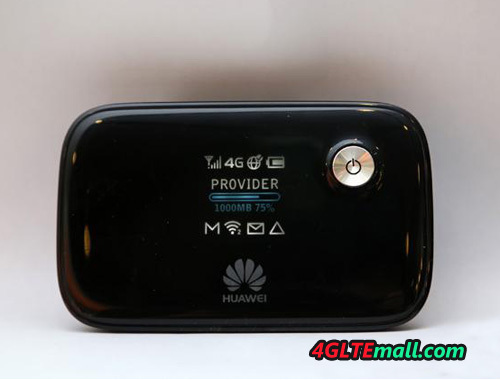 Huawei E5776 4G LTE Mobile WiFi Hotspot is the world's first LTE Cat4 LTE MiFi, which support data rates of 150Mbps downstream and 50Mbps upload speed. 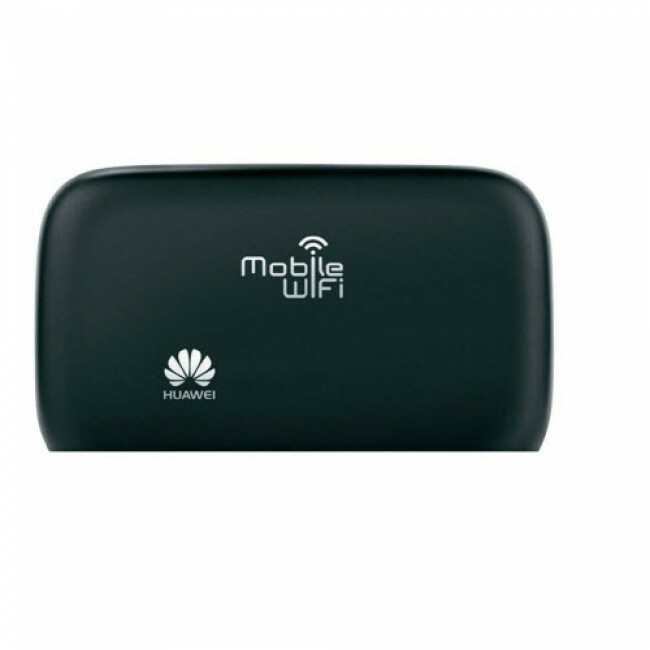 Up to 10 WiFi devices could access internet via WiFi. 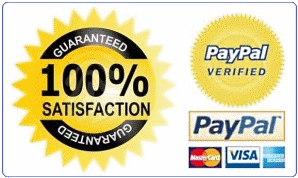 The 1.45 inch wide screen displays all relevant data such as battery level, volume consumed and network availability. 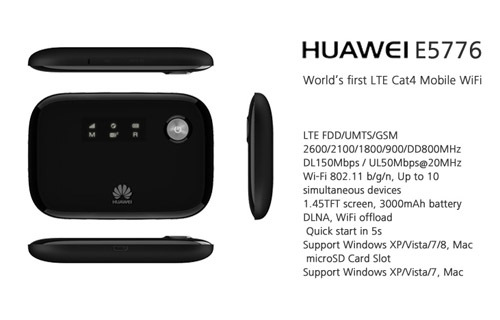 There are many branch modelfor this Cat4 LTE Hotspot, such as HUAWEI E5776s-860, HUAWEI E5776s-32, HUAWEI E5776s-22, HUAWEI E5776s-501, HUAWEI E5776S-420, HUAWIE E5776s-922, HUAWEI E5776s-601 etc..
On UMTS network, it supports up to 84mbps download speed via DC-HSPA+. 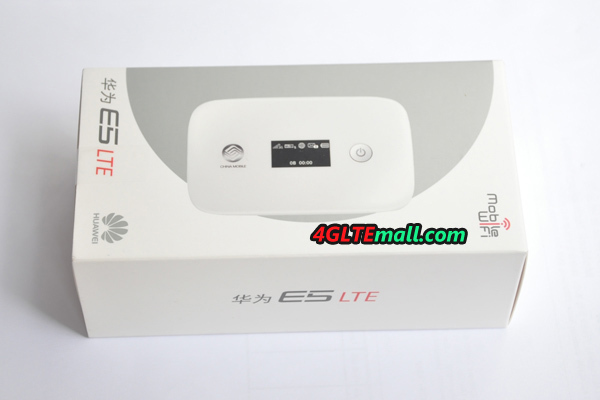 As the successor of HUAWEI E589 4G LTE Pocket WiFi, it's LTE-advanced model. 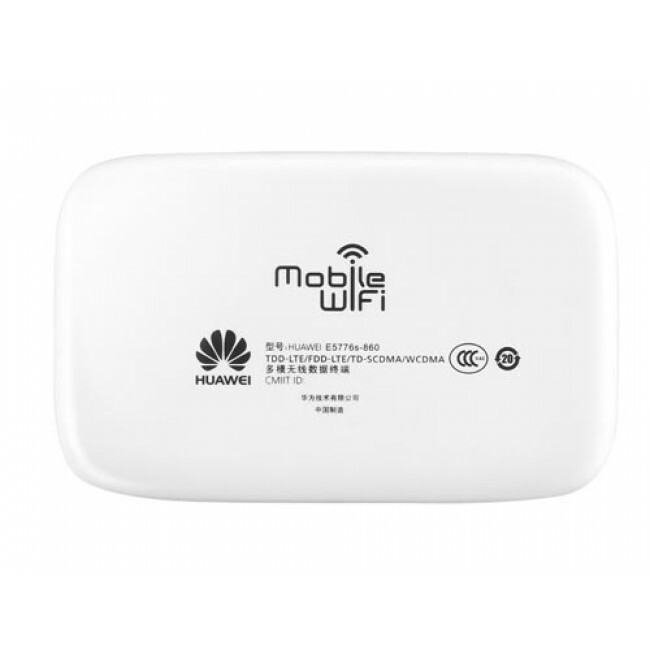 Sometimes, the customer may concern the stability of data transmission via wireless network, the designer also have a solution for this. 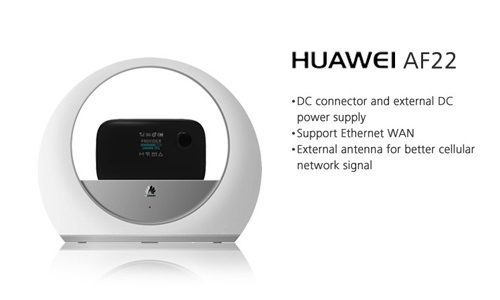 The HUAWEI AF22 Cradle is to born to with HUAWEI E5776 to transfer the WiFi signal to ethernet cable so that the users could have better network experience. 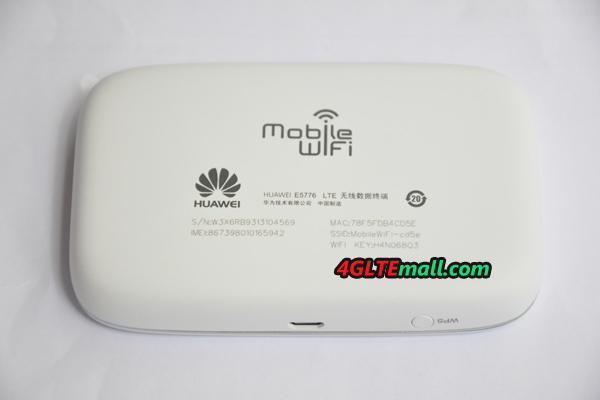 Similarly, Sierra Wireless also has such LTE Mobile WiFi, such as Sierra 760s, 762s, 754s but they can't reach the peak speed as HUAWEI E5776. 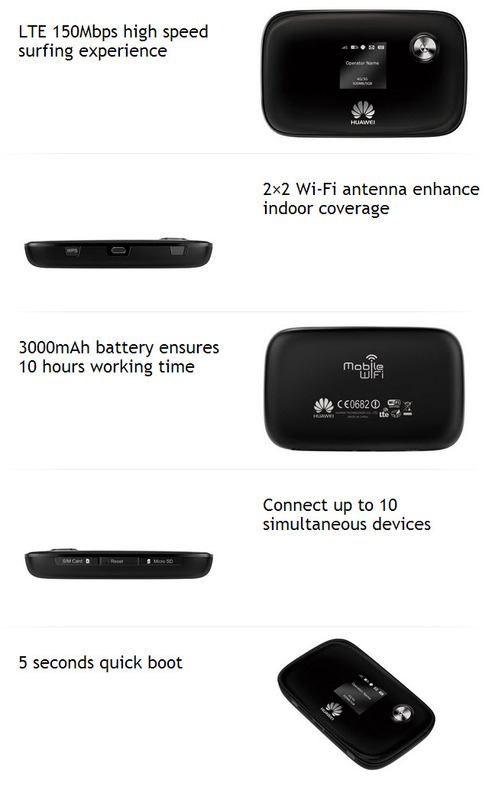 ZTE MF91 4G LTE pocket WiFi is also optional if the 4G LTE network is available in your country.